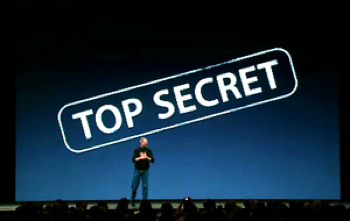 Tomorrow, the world is expecting Apple, Inc. to revolutionize the world, once again. It’s revolutionized the world several times: personal computing, the iPod, the iPhone, and hopefully, tomorrow — the iTablet (or something along those lines). However, we must realize that all these hardware devices have fairly dependent ties to iTunes for content and that is a revolutionary product, itself — though it needs some tuning. That’s why the game-changer is not just some kind of Tablet. I’m expecting an update to iTunes. Maybe, iTunes.com or something in the cloud. We have heard many times that Apple is building a massive data center. We already have MobileMe in the cloud, what’s the next logical step? To revolutionize the industry, we must look back at Steve Jobs’ Master Plan. You can see in the past he has put all these pieces together and changed different industries: computing, music, phone, etc. He’s also dabbled in the Apple TV as a hobby. I, in fact, would hope that there’s an actual Apple TV Set that is announced tomorrow, along with an iTunes subscription model. Wouldn’t that market make more economic sense than just a Tablet? iTunes has made Apple, Inc. the digital version of Amazon.com. While Amazon has tried to move towards digital, with the Kindle, they are more known for their hard copies of books, magazines, CDs, DVDs, Bluray discs, etc. Apple is moving us towards a world of download-able, digital content. iTunes is what ties all this digital content together for Apple. It currently contains at least the following: Music, Music Videos, Audio Books, TV Shows, Movies, Movie Rentals, Apps. What if it adds Books, Magazines, and Newspapers tomorrow? What if iTunes includes Apps for Mac OS X like it does for the iPhone/iPod Touch? What if iTunes had a social aspect to tie your iLife or iWork together? Can you share your music, movies, photos, videos, spreadsheets, and presentations easily today? iTunes is one of the most powerful distribution platforms out there and houses almost all of Apple’s content. iTunes holds professional produced content, iLife and iWork hold your personal content. Perhaps, a melding of the minds between these three platforms is in order. Tomorrow, it would make sense to see an upgrade to iTunes in conjunction with a new iTablet. And maybe see an upgrade to iLife and iWork in the cloud as well? Steve Jobs has said, “The iPhone is great software wrapped in wonderful hardware. . . .” What about great hardware surrounded by great software? That includes not only a good OS and presentation layer, but easy and intuitive access to content. And Apple has access to massive amounts content. It would make sense to improve on that advantage. Until, someone else can come up with an “iTunes-killer” it will be difficult to dethrone Apple, because they own the hardware, the software, AND access to content. This entry was posted on January 26, 2010, 11:12 pm and is filed under Article. You can follow any responses to this entry through RSS 2.0. Both comments and pings are currently closed.